In order to determine your ring size, you can measure rigorously the inside diameter of a ring you use. Let us know the result of your measurement and the system of measurement you used. If you know your size, please let us know the measurement system as well. There are several systems of measurement used worldwide. When you submit a size it should be associated with the correct unit of measurement, to avoid confusion. For more informations, you can try this conversion chart. 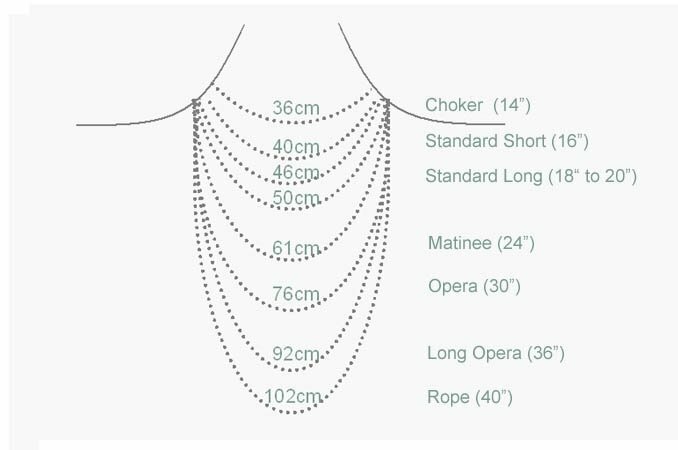 Please take a look at this image for an improved approximation of the neckpiece’s length.